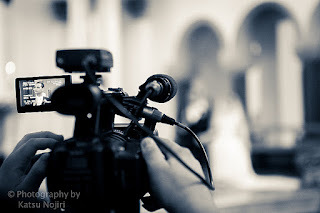 White Orchid Wedding Films: Tip #3 - Why choose a videographer? Tip #3 - Why choose a videographer? Now and again I receive enquiries from brides asking me to film their wedding, and after I send them a quote, they tell me it's difficult to persuade their fiancés that a wedding video is worth it. So I thought I'd sit down and write an article about that. As with everything there are pros and cons to making this decision, and both should be weighed up and compared. Let's have a look at some that spring to mind below. As discussed in my last post, decent wedding videos can cost anything from £500 to £2000. With all other expenses at a wedding, adding this on top is quite tough to justify. Who wants a guy you don't know standing around pointing a camera in peoples' faces? He adds nothing to the actual event and just makes the bride and groom, the bridal party, and the guests feel nervous. Who needs that extra stress? True enough, but a good videographer should show enough tact and discretion at a wedding. It is a live event, and in order to end up with a great result, it really helps if we have footage of people naturally having a good time. The best way to do this is to film from afar, zoomed in for close ups. Half the time you won't notice were there. You have to go to meet them to talk things over, that's an hour plus travel. You have to think of songs you like and make even more decisions. You need to wait for months for them to be completed, open the wrapping and watch the whole thing again. A preliminary meeting before the big day is a great way to get to know your videographer, build a rapport, and gives them a chance to find out a little about you and your plans for the day, with timings etc. It makes everything go much more smoothly, and is well worth the time. If geographical distances are a problem, a Skype call or even just a phone call can make all the difference. We're already forking out a tonne of money for the photographer – why do we have to have a videographer as well? 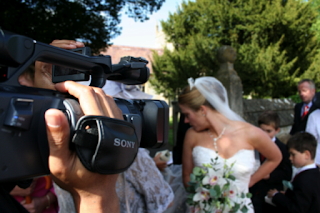 How many media formats do we need to record our wedding in? Yes, photos are the more traditional way to capture a wedding, and can look fantastic. I have absolute respect for all the great wedding photographers I've worked with in the past. But video is slightly different, which we'll be looking at below. In 1892 Edison and Dickson invented a motion picture camera and a peephole viewing device called the Kinetoscope. 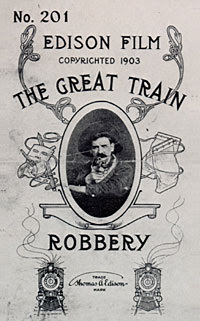 They were first shown publicly in 1893 and the following year the first Edison films were exhibited commercially. Since then the technology used to capture moving pictures has advanced greatly, with many videographers now offering 4k HD. 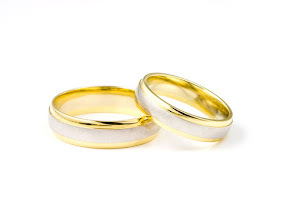 One of the great things about having your wedding videoed is that the audio gets recorded too, which means that all the special, meaningful words spoken at your ceremony by the celebrant, minister, priest or registrar - all the advice they give you - is recorded forever. As will your vows be, and any readings given. Then there's the speeches - nervous undertaking, but well worth it! If you have your wedding videoed you'll have them there to look back on and enjoy again and again for years to come. You don't have to worry that your videographer might catch you at an embarrassing moment, or send a clip of you falling into your wedding cake to 'You've Been Framed'. It's our job to make you look good, which you will do, you'll look great. One of the best things about your wedding day is having all your family and friends in one place to give you a good send off. It's usually quite a rare occasion, with everyone all dressed up and looking so grand, so isn't it worth capturing it as much as possible for posterity? And while you're at one end chatting with one group of friends, your videographer is at the other, videoing messages from the another group. The day will go by in a flash, trust me. There will be so many people to try to catch up with, so many faces, and once the alcohol starts flowing and the dancing kicks off that's it :) Woosh. But if you've got videographic evidence to fall back on any time you want to relive it, theres nothing to worry about. One of the cool things about using more than one camera is that your videographer can cut out any little slips during the vows or the speeches seamlessly, just by jumping from one camera to the other. So that's one more safety net if you're nervous about getting the speeches filmed. If the words don't come out right (but they will because you'll have practised a lot the night before) just take a breath and start again and let us take care of the rest. 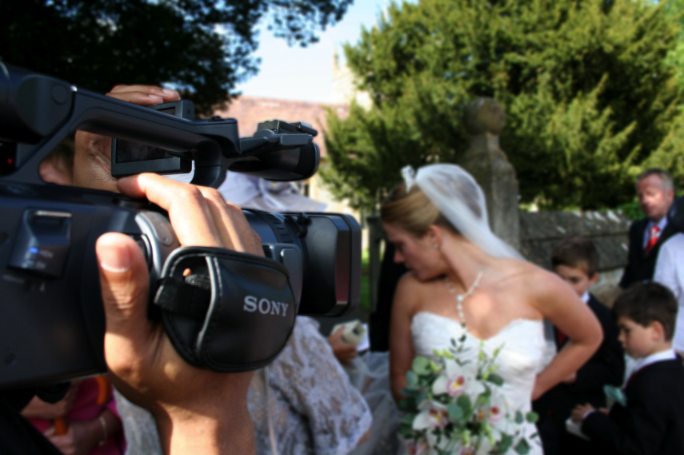 Many wedding videographers edit your wedding video to music of your choice. They ask you for a dozen songs that are important to you and cut together music video montages from the footage to create a specially custom made music video just for you. I've often thought about this - what is the difference between photography and videography? And this is what I've come up with. Photos capture moments, video captures the day. They're both good, and there are some overlaps, but at the end of the day they are two separate forms of media, created by two different people who work best when working together. So that's it. It's make your mind up time. If you can find a videographer you can trust and get along with, why not have a chat with them and see if you can come to some arrangement. But whether you have your wedding videoed or not, the most important thing is to enjoy your special day.